Mithun has been advised to undergo chemotherapy at the earliest in order to fight the cancer. The total cost of the treatment is approximately 14 lakh Rs. 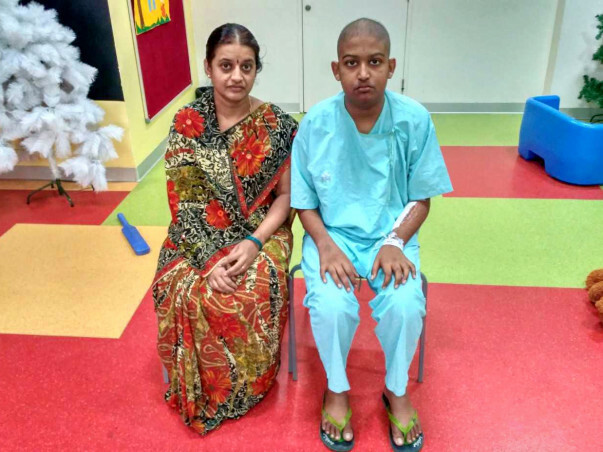 Unfortunately, Prakash only earns around 18000 Rs a month and does not have the means to pay for his son's treatment. He needs our help. Your contribution can save Mithun's life and give him the treatment he deserves. I would like to thank you for the love and support that you have shown towards my brother Mithun. I have some unfortunate news to share with all of you today. Mithun passed away on Monday (23rd April) in the morning hours. He underwent a Bone marrow transplant but after that he developed a fever for 10 consecutive days. The doctors were treating him for the same but from there his condition started deteriorating severely. Doctors tried their best to save him but it was too late and he left us. Here is a quick update on Mithun. 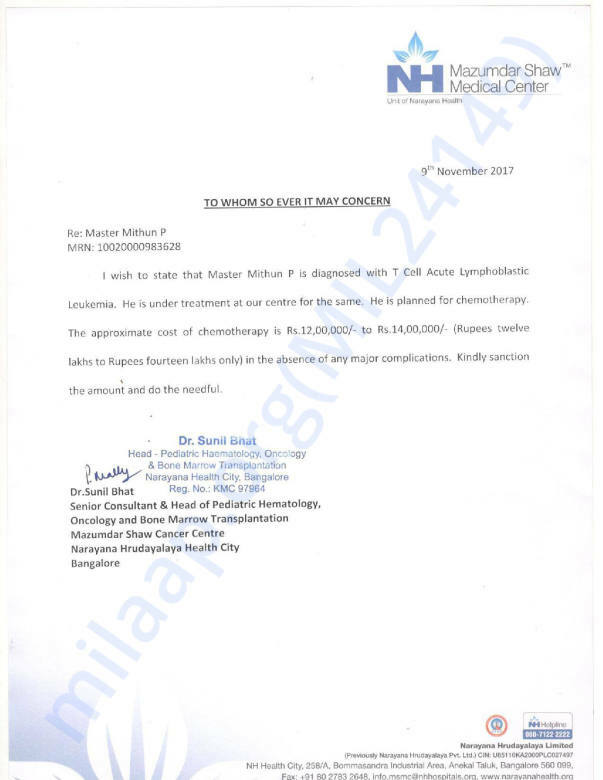 Currently, Mithun is in the hospital and is doing good. He is undergoing chemotherapy sessions and has completed one cycle. He is not able to walk on his own, but he is recovering and is responding positively to the treatment. Thank you for your support and love for Mithun.